Carrying out the duties as an estate executor is probably one of the most thankless and time-consuming jobs. Many administrators agree to take on this burden out of loyalty to the deceased, and they may receive little or no compensation, other than what is provided for in the will, assuming that one exists. On top of this added burden on their time, the administrators must cope with the emotional effects of losing a close friend or loved one. An attorney makes this process much easier, by taking over almost all the legwork and letting administrators get back to living their lives. Simply finding the documents, like a will and trust, is often a chore in itself, as many people stuff these instruments into limited-access bank deposit boxes and other long-term secure storage facilities. In addition to doing the legwork in finding the documents, a local probate attorney who knows the landscape can cut through red tape and actually obtain these instruments. According to Gallup, a majority of Americans do not update their wills, so these documents are usually inadequate guides for the next step, which is identifying and locating heirs. An attorney can perform a skip trace with just a name and a limited amount of personal data and almost immediately find a current address and other vital statistics, such as the names of the person’s heirs if the person is deceased. New Hampshire also has some rather unusual laws in this area. For example, a surviving spouse is automatically entitled to homestead rights in most real property. 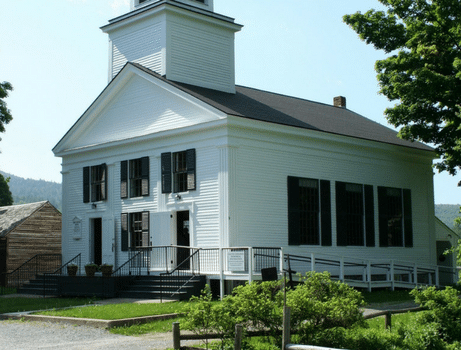 Furthermore, instead of the usual percentage allocations, New Hampshire’s intestacy laws provide for a proportional split only after a certain monetary threshold is met. Executors have a fiduciary duty to distribute property in accordance with the will and the final wishes of the decedent, and such distribution may be inconsistent with the executor’s judgement, wishes that the decedent expressed years ago, and even common sense. But this duty exists as long as the decedents were mentally sound and understood the nature and extent of their bounty. Personal property often has hidden value, because the old saying is often true: “one man’s trash is another man’s treasure.” Instead of an estate sale in which prices are set essentially by guesswork, a local probate attorney can often transfer these items to a low-cost auction facility where items are professionally priced and sold to the highest bidder. This process may greatly affect the amount of money in the estate. As a rule of thumb, selling real estate property that has two or more owners is either difficult or impossible. A skilled attorney can negotiate with different people who almost always have different agendas, arrange for the minimal amount of work necessary on the house or other property to put in a saleable condition, negotiate the sale and help expedite the closing. For prompt assistance, contact me today. I’m licensed in both Massachusetts and New Hampshire.